Recently, I did an email interview with Sabrina Sellers, an up-and-coming dancer whom I met through friends in high school and saw dance during the 2012 Youth America Grand Prix dance competition. 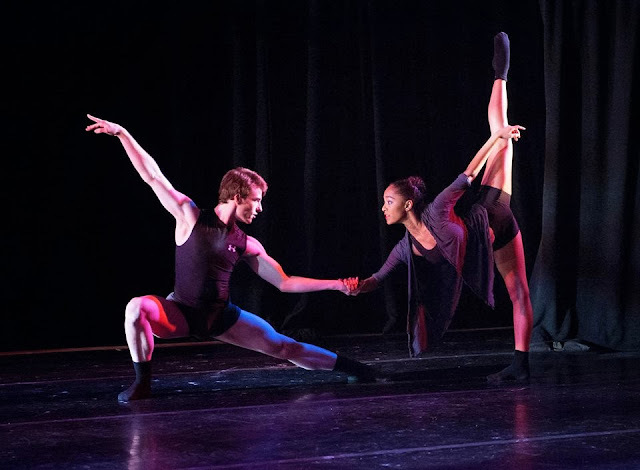 I was struck by her impeccable grace and delicacy of movement, and was pleased to learn that she is now a trainee at the Joffrey Ballet in Chicago, studying to become a professional dancer. Despite having been involved heavily in dance throughout my life, I had never met someone who had chosen that route and made the decision to try to go pro. I was ecstatic when she graciously let me interview her for the blog; I know there must be other inquiring minds who want to know what the life of a future ballet dancer is like. I On the Arts: When did you start ballet? What inspired you to start? 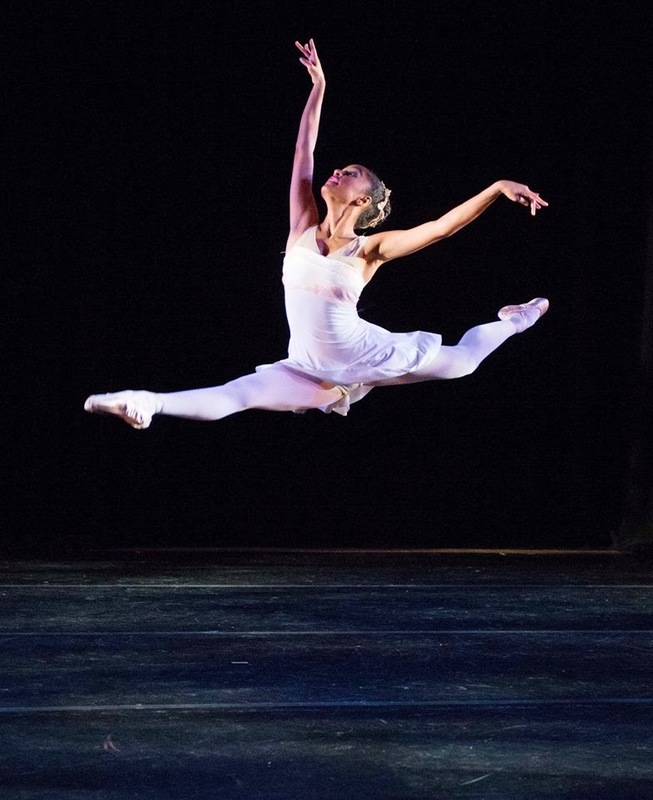 Sabrina Sellers: I started ballet when I was three years old, in just an intro to dance sort of class. It was something my parents put me in to keep me occupied as a kid. But I guess I didn’t really start to fall in love with ballet until I was in middle school. For a long time it was something that I just did because I could physically do it, but then it became something that I needed to do and that I couldn’t live without. IOtA: Where did you do your training? SS: I trained for 12 years at Los Angeles Ballet Academy under Andrea Paris and Conny Mathot. I’m now currently training at the Joffrey Ballet’s Academy of Dance as a trainee. IOtA: What other kinds of dance have you studied? SS: I have also studied modern, contemporary, jazz, character dance, and tap. At my home studio they encouraged us to take more than just ballet so I took other classes as well. I also was part of a Jazz competition team for some time and loved it. What was your favorite moment/memory during your pre-Joffrey studies? SS: I think my last year of being at my home studio was extremely memorable for me. It was really exciting to prepare solos for the competition Youth American Grand Prix as well as perform the Bluebird Pas de Deux from Sleeping Beauty in my final performance. IOtA: What was difficult for your during your pre-Joffrey studies? SS: It was really difficult to balance both high school and the demands of training at the pre-professional level. There were a lot of long nights of homework after late ballet and my weekends were spent in the studio. It was a lot different then the average high schooler’s experience, but I wouldn’t trade it for anything. IOtA: When did you decide to pursue ballet professionally? SS: I decided that I would pursue ballet professional in my last year of high school. When starting to apply for colleges and ballet programs, I knew for sure that this was the path I wanted to take. IOtA: Why did you choose to train with the Joffrey? SS: I chose to train at Joffrey because the Joffrey Ballet is a company I aspire to dance for someday. I had seen them dance multiple times and was just so inspired by the diversity both of its dancers and its repertoire. IOtA: Describe a typical day at the Joffrey for you. SS: My day starts with technique class that is usually an hour and a half long. Then we have either partnering or pointe class depending on the day. After that is usually repertoire where we learn Joffrey repertoire or repertoire from classical ballets. At the end of the day is usually a jazz, character, modern, or contemporary class. Sometimes we have extra rehearsals at the end of the day as well in preparation for shows we have during the year. IOtA: What is your dream role to perform? SS: I’m not sure that I have necessarily a dream role, but there are definitely ballets that I hope to dance someday. I really want to perform works by Christopher Wheeldon, Wayne Mcgregor, and William Forsythe. After being exposed to ballets from these choreographers, I really enjoy their styles and hope to dance them someday. IOtA: What dancers do you find most inspiring? Which teachers? SS: I think my favorite dancers are probably Alina Cojocaru and Marienela Nunez. I have religiously watched videos of them on YouTube and hope to see them perform live one day. IOtA: What are your non-dance related favorite activities? SS: I really enjoy spending time with my friends, on the weekends. We only really get Sundays off, but sometimes we make time to watch movies or just hang out and talk. I also really like to binge watch TV shows on Netflix as a way to relax after long days. I think my favorites so far are "Friday Night Lights" and "House of Cards". What a great interview! Perhaps a trip to Chicago one day to see her dance? ?